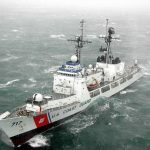 Over the past two years, the CANUS Maritime Information Sharing Pilot Project: Puget Sound (CANUS) evaluated the effectiveness of enhanced radar detection capabilities along the Pacific Northwest international maritime border. CoSSaR’s latest research video is live! 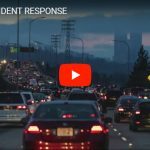 Learn more about CoSSaR's congestion management research--and how law enforcement and transportation agencies are using it along the Seattle I-5 corridor--in this new video produced by UW's Applied Physics Laboratory. 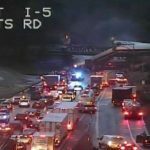 Thanks to the research done by Mark Haselkorn and CoSSaR last year, six regional agencies--Washington State Department of Transportation, Seattle Department of Transportation, Seattle Fire Department, Seattle Police Department, Washington State Patrol, and King County Metro--have formally agreed to work together as the Seattle Area Joint Operations Group (SAJOG). The final report includes several recommendations based on the outcomes of the initial research, including enhancement of the cross-agency information sharing environment, as well as improved communication with the commuting public. CoSSaR's Dr. Scott Miles will be leading a reconnaissance research team to Mexico from October 1 - 10, 2017. 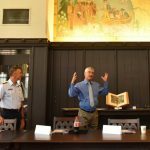 Sponsored by the Earthquake Engineering Research Institute's Learning from Earthquakes Program, Dr. 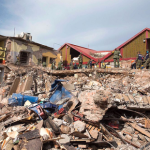 Miles and three other researchers will study the roles, impacts, and experiences associated with Mexico’s earthquake early warning system after the recent earthquakes. 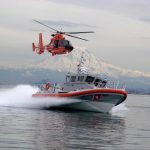 For the second year in a row, the Maritime Security West and the Marine Law Enforcement (MLE) Conference will join forces to bring the largest and most comprehensive maritime security and law enforcement event to Tacoma, Washington. 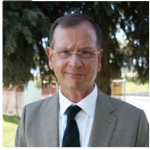 Mark Haselkorn, professor of Human Centered Design & Engineering, will be the keynote speaker at the Fourth International Conference on Information and Communication Technologies for Disaster Management, happening December 11-13, 2017, in Münster, Germany. 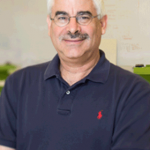 Dr. Scott Miles, senior research scientist in HCDE's Center for Collaborative Systems for Security, Safety, and Regional Resilience (CoSSaR), is Co-Principal Investigator on a new NSF award to host the United States’ first post-disaster, rapid response research facility at University of Washington.